After an internal review, Marcus Battle, CBO of East Side Union High School District in San Jose, confirmed what he had suspected – the district’s schools weren’t following a number of district guidelines regarding external facility rentals. Facility rental pricing was inconsistent from school to school, reservation requests and approvals weren’t transparent to the district, and the lack of a centralized calendar system meant the district couldn’t always see events occurring in their own facilities. 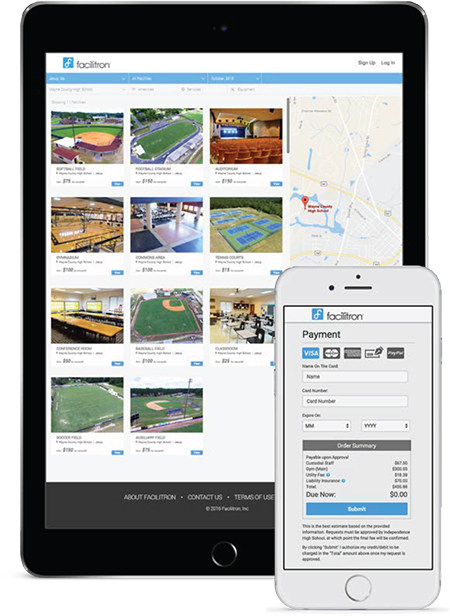 To help resolve the issues, ESUHSD partnered with Facilitron to implement an online scheduling, rental and facility management system. The new platform allowed the schools to work alongside the district to transform the previously bottoms-up process into a system that provides transparency to each important stakeholder. Among the immediate benefits, facility rental rates have become consistent across the district, and both the schools and the district are seeing significant time savings and increases in revenue. Including on-boarding and training time, ESUHSD was up and running quickly and thanks to their new partnership with Facilitron have one centralized place for total facility management – calendars, communications, reservation requests and more.